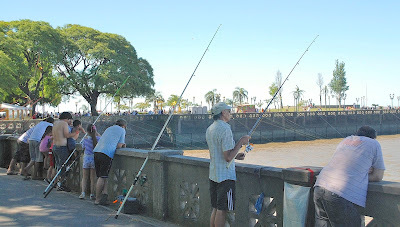 The Costanera Norte offers river access to the residents of Buenos Aires. Not far from our Buenos Aires apartment, leading northwest from the Aeroparque Jorge Newbery airport, the Costanera Rafael Obligado provides direct access to the Río de La Plata shoreline for city residents. 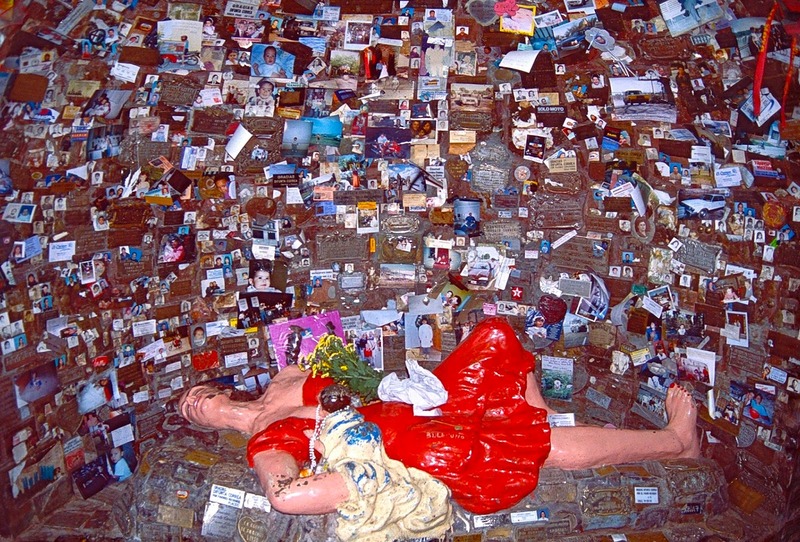 It’s a popular spot for walking, fishing and asados (barbecues) and, at its northern end, the Parque de la Memoria is an open-air memorial to the tens of thousands who disappeared under the military dictatorship of 1976-83. One area “attraction” I’ve always ignored is Tierra Santa, a Disneyland for the devout that displays a kitschy version of ancient Jerusalem and its spiritual legacy (as depicted in the video above). About the only thing I can compare it with is Tennessee’s farcically fake Ark Encounter which, deservedly, appears to be approaching financial collapse. On one level that’s easy for me to say—I’m not a believer—but why would any sensible person spend a single peso to watch an hourly mechanical resurrection when genuine devotional sights are so close at hand? 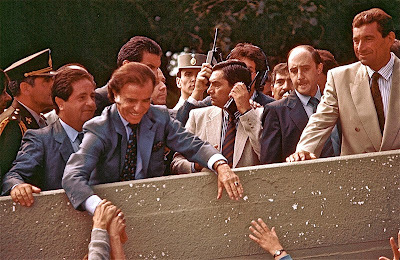 Carlos Menem renounced Islam for Catholicism in order to become Argentina's president in 1989. The Catedral Metropolitana is Buenos Aires's most conspicuous religious landmark. 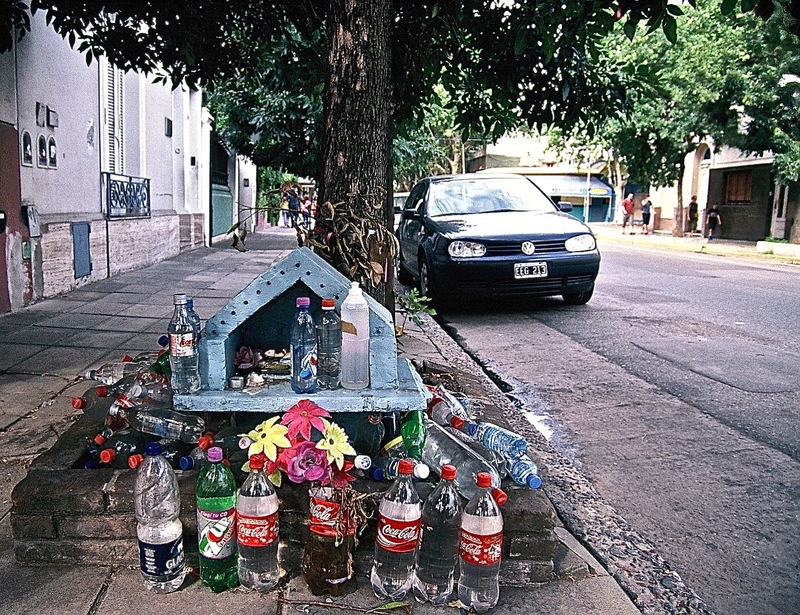 It’s worth noting that, for many Argentines, religion is fungible. 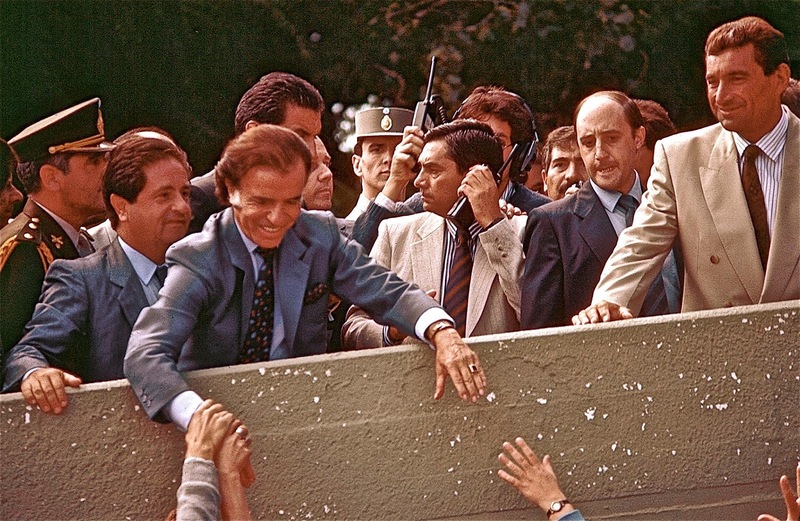 For instance, former President Carlos Menem—of Syrian descent—converted from Islam to Catholicism to run for office, since that was a constitutional requirement at the time. 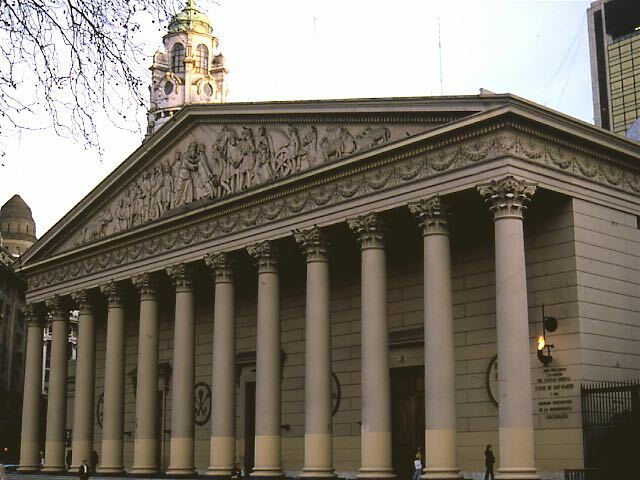 Buenos Aires, of course, has many important Christian sites, starting with the classic Catedral Metropolitana and even the handsome Iglesia Ortodoxa Rusa of San Telmo. 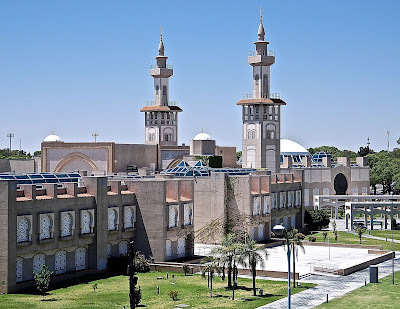 But the Middle East’s other Abrahamic faiths are represented by landmarks such as the Templo de la Congregación Israelita and the Centro Islámico Rey Fahd—both of which are open for free guided tours. Palermo's Centro Islámico Rey Fahd is the largest mosque in South America. 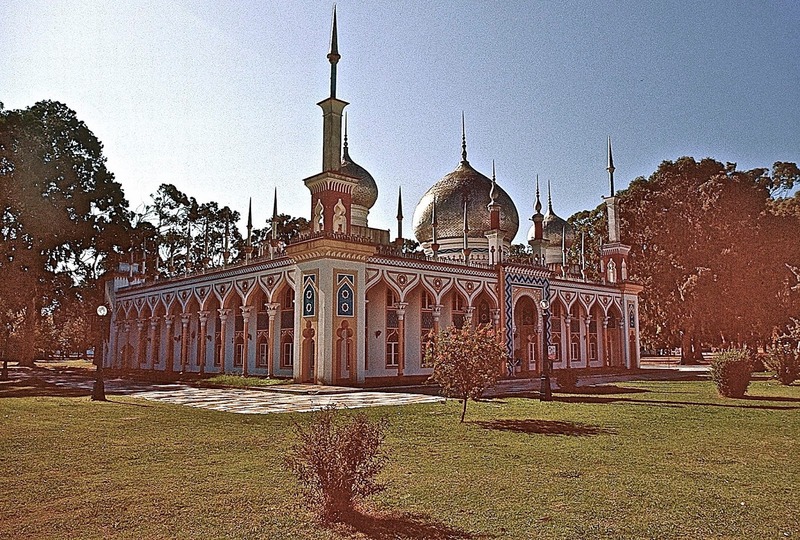 None of those, of course, is a theme park—for that, visitors to Argentina might be better advised to visit the city of La Plata, whose República de los Niños, where children can explore scale model replicas of diverse structures that even include a mosque. For my part, though, I prefer more offbeat devotional locations that fetishize folk saints. La Plata's República de los Niños has a scale model mosque for kids to explore. Rather than a biblical theme park, I would urge visitors to see the syncretic Santuario del Gauchito Gil, where pilgrims pay homage to a Robin Hood figure from the northern province of Corrientes. It also has the advantage of proximity to the Esteros del Iberá, Argentina’s great subtropical wetlands preserve, to view the most diverse concentrations of wildlife within the country’s borders. 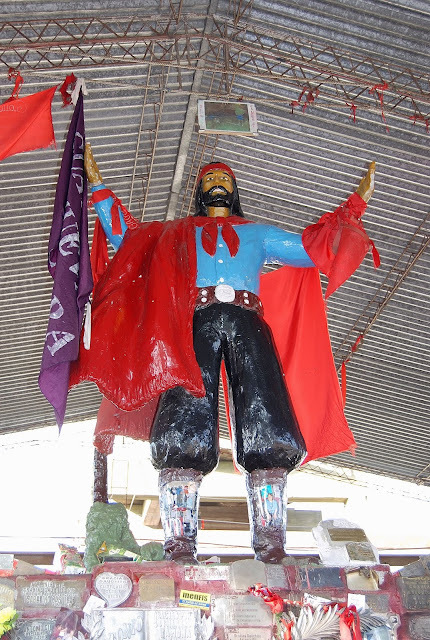 Who needs a mechanical Jesus when you can stand before the altar of Gauchito Gil? San Juan's Difunta Correa is a legendary folk saint whose infant son supposedly survived at her breast after she died in the desert. For those unable to visit either the Gaucho Gil or the Difunta, do not despair! Spontaneous roadshrine shrines—some of them quite large—are common on the country’s highways and along some city sidewalks. Even in sophisticated Palermo, the faithful leave water for the Difunta.